It’s the first day back from break, and it is clear that everyone’s thoughts still center around their week off. So I thought maybe I’d share with you guys a small part of mine. A while back, in the beginning of December, I was stressing out. My dad’s 50th Birthday was coming up and I wasn’t quite sure what to get him. I looked at paddle-boards and passes, but I couldn’t find anything within my budget. Eventually I visited the Pepsi Center website to see if maybe I could buy him tickets to a few Colorado Avalanche games. 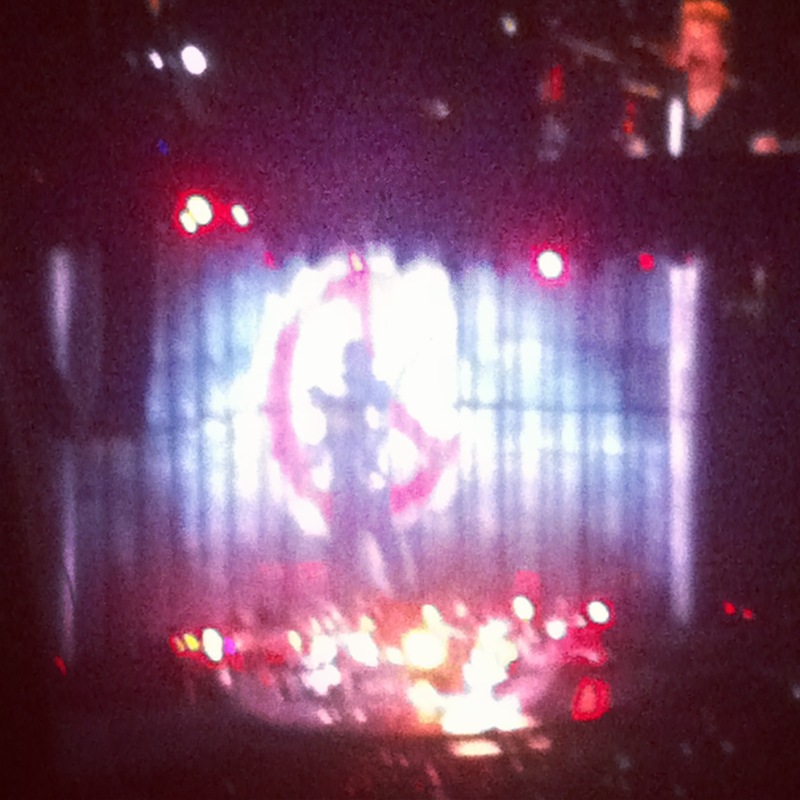 Advertised across the top of the screen was a banner for a Bon Jovi concert occurring on April 16th, at the Pepsi Center. We had just been to a Bruce Springsteen concert, at which my dad had said that they’re are certain people if given the chance you have to see, even if you don’t like their music. To me, Bon Jovi was one of those people. I’m not a particular fan of his music, but one of my little brothers favorite songs has always been Livin’ on a Prayer. This prompted me to buy the tickets, and on Tuesday April 16th we packed up the truck and drove down to Denver. As we arrived at the Pepsi Center, we noticed the six tour buses (one for each member), as well as what must have been about a dozen semi’s. The parking lot was fuller than we had ever seen it, even for Av’s games. 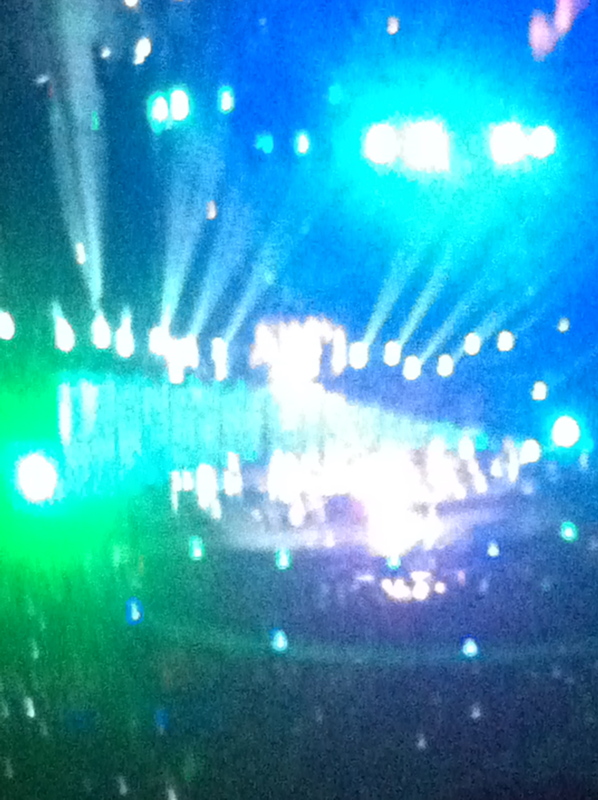 The concert was by far one of the better one’s I’ve been too. Not because I like his music, because I don’t really, or because he’s popular. He put on a show. He threw everything he had into what he was doing on stage. We soon figured out what the absurd amount of semi’s were for as huge columns rose and fell from the ceiling, rising up and down from the floor to meet in the middle. Animated graphics were projected onto the columns, matching the song Bon Jovi was belting out. At first we thought they were just fabric or styrofoam, something cheap. That was until the famous rocker started walking across them. He sang his hit songs, as well as songs from his new album. He danced his heart out on stage, and changed his outfit twice. The lights were insane, pulsing to the beat of the music. The concert was over-the-top. It was loud. And it was awesome.